Combine biscuit crumbs and melted butter. Press firmly into lined spring-form tin. Refrigerate until required. Beat cream cheese until creamy. Add condensed milk gradually then lemon juice and melted chocolate. Dissolved gelatin in the water then add to mixture. Fold in whipped cream, then pour mixture over the chocolate crumb based. Let it smooth out and refrigerate for at least 2 – 3 hours. Serve with ice cream! 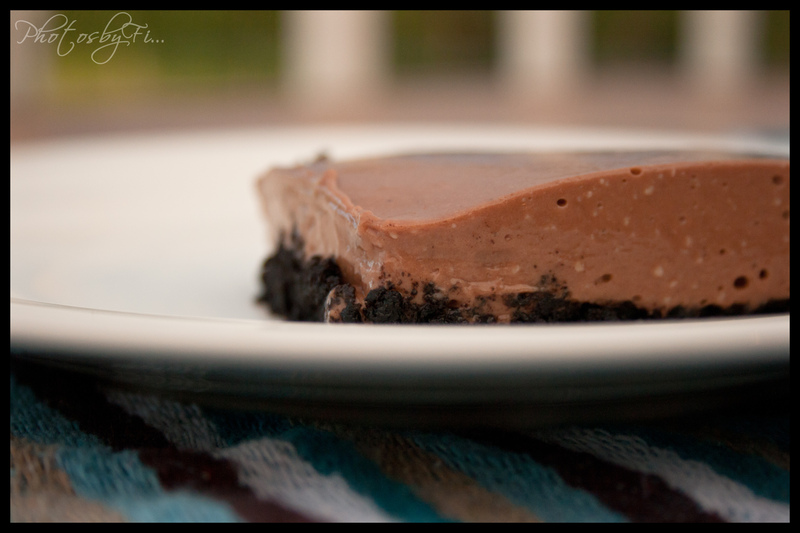 Posted on July 17, 2012, in Desserts, Treats and tagged cheesecake, chocolate, food, ice cream, recipes, treats. Bookmark the permalink. Leave a comment.